I am going to give every single person I see today a big smile. I don’t care who they are or what they are doing. I don’t even care if they smile back. I am going to give everyone a smile today. If I pass them in my car, if I walk by them at the store, if they visit my home, or if I see them in my neighborhood – wherever I find other people – they are all getting big smiles. Cashiers, clerks, absolutely every single person gets a smile today. Even if something trips me up and I’m not especially feeling the smile – I am still going to give them out. Smiles all over the place! 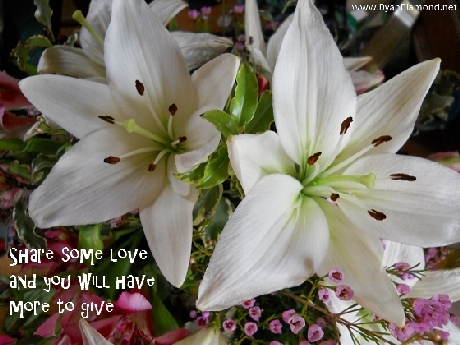 Share some love today and you will have even more to give!! Be the smile that someone needs to see today. You never know how much it could matter to someone!! Now go out there and SMILE! !